Renovating Your Mind‘s playbook has FDA acronym standing for Foolish Dumb Agenda. Look out for yourself when it comes to arsenic in rice and other foods. Don’t depend on any government agency to determine the fate of your health. Cigarettes were also not proven to have immediate or short-term adverse health effects by this same collective group. What about the long-term effects of arsenic on our body? FDA has know about this “problem” for years. Consumer Reports’ representatives have been speaking with FDA officials for almost 3 years concerning the high amount of arsenic in certain foods. Standards for arsenic toxicity utilizing current data should already exist. Our federal government is currently saying that exceeding 10 ppb (parts per billion) is dangerous. The state of NJ has decreased that limit to 5 ppb. FDA knows that arsenic is toxic at low doses. It was used on plants as an ingredient in insecticides. Those bug killers became illegal in the ’80’s, but they are still contaminating soils throughout the US. Arsenic is used in animal feed and fertilizer. Let’s figure a way to lower the levels rather than the FDA media blitzing new stalling tactics. 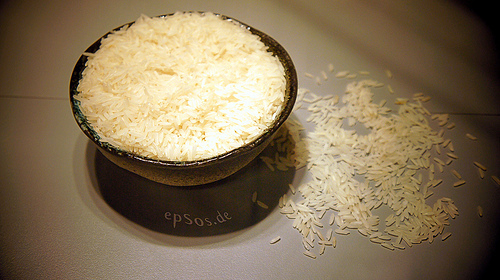 Many people consume rice as a staple in their daily diets. It’s morally reprehensible to allow consumers to ingest rice knowing that significant amounts of arsenic are contained in this grain. Reason being, brown rice has a natural outer layer. This allows more arsenic to stay put in the rice grain. When refined to white, this processing gets rid of over 50% of the arsenic that was embedded in that fiber coat. Rice sits and grows in water called rice paddies. Toxic impurities in the water supply are soaked up by the plant like a sponge. How is arsenic harmful?? In each cell of the body contains an area called the mitochondria. It is known as our energy production plant. This dynamo powers the heart, lungs, brain, etc. If arsenic gets into this power plant in a high enough dose, it stops energy production. Obituary time! In lower doses, arsenic is still a dangerous ingredient in any diet, especially chronic ingestion. It has been linked to cancers, heart disease, diabetes and cognitive deficiencies. Don’t eat rice. Switch over quinoa, hemp, chia, etc. If you must have rice, move over to white rice with lesser arsenic. Organic rice also may have high arsenic levels. Wash your rice. This lowers the level of this toxic metal. Arsenic is a known carcinogen. I stopped eating rice. We get enough arsenic inadvertently even in a good diet. 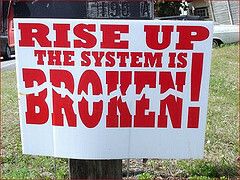 This occurs because of both natural and man-made contamination. 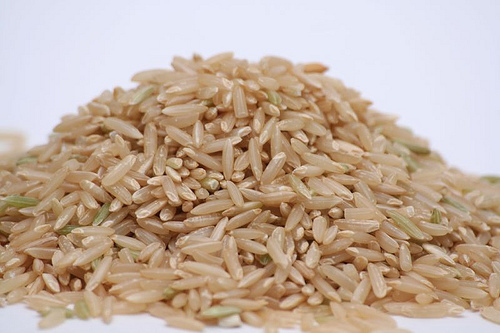 There is no need to continue to consume rice grains which are a storage depot for arsenic. FDA, please set safer standards for arsenic toxicity as soon as possible. Start showing a little love to our foods by lowering contamination levels in the marketplace. 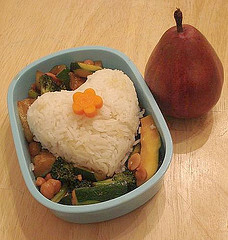 This heart bento would be so much healthier with arsenic levels closer to zero.